Home > Household Deals > KidCo Travel Portable Bed $38.99 (reg. $79) – A Huge Favorite of Mine! KidCo Travel Portable Bed $38.99 (reg. $79) – A Huge Favorite of Mine! Zulily currently has KidCo travel beds for 50% off. 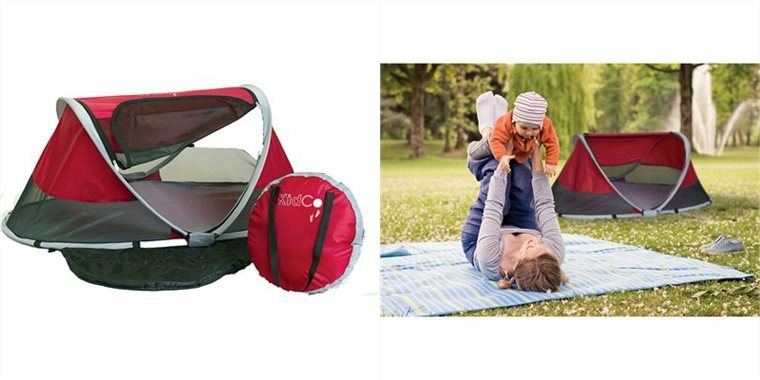 Get the PeaPod Travel Bed Tent for only $38.99 (reg. $79) right now! We’ve used these with all of our girls. The minute we found them I never hauled around a pack’n play again! The tent weighs maybe 3 lbs (compare that to your huge pack’n play) and can fit in a suitcase if you are flying. They are very durable and have lasted through multiple kids for us too! There is a soft pad underneath the tent to make them more comfortable when they sleep. Savings Tip: All OXO items ship for free so buy an OXO Glass Prep bowl for $3.95 first. Then come back and you’ll get free shipping for the rest of the day on any other order you place!